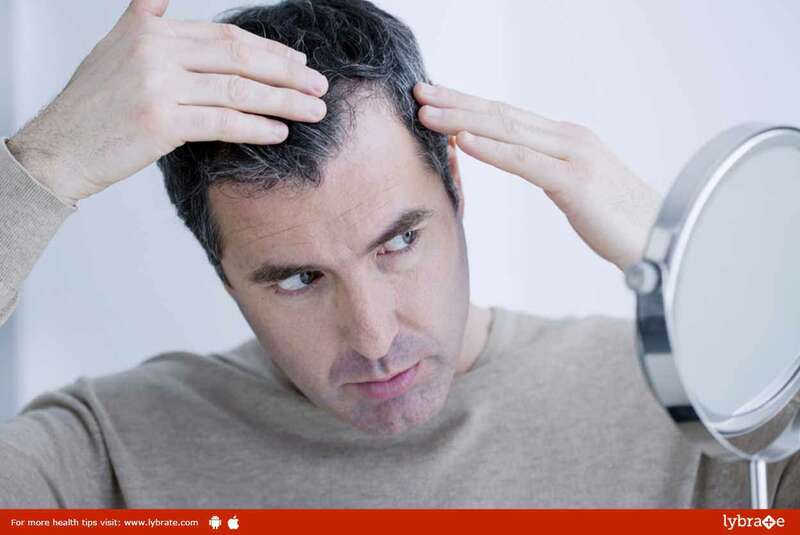 Hair loss or alopecia refers generally to the loss of hair from the scalp region. About 95% of hair loss conditions occur due to hereditary factors, which are referred to as androgenetic alopecia. Hair fall can also denote a serious underlying medical condition such as ovarian or adrenaline gland tumours, hypertension, HIV/AIDS or Diabetes among others. Side-effects from certain medications like chemotherapy treatments or anti-depressants can also result in hair fall. Hair fall can happen to anyone and at any point of time in life. Permanent loss of hair can also happen as a result of experimentation with hair like braids or ponytails, excessive stress, fungal infections, alopecia areata (An auto- immune condition which results in bald spots in the beard, eyebrows, and scalp region) and hormonal changes after child birth or menopause. Thinning of hair due to hair loss can also occur due to bad lifestyle choices, bad diet and not taking proper care of your hair as well. Rapid instances of hair loss resulting in thinning can be a serious form of embarrassment for the person suffering from it. Homeopathic mode of treatment has good scope and can aid regrowth of hair. Homeopathic medicines stimulate the hair roots to promote regrowth. The medicines used in Homeopathy to aid hair regrowth are all of natural origin and therefore, safe for use among persons of all age groups. The main advantage of opting for Homeopathic medicines for hair regrowth is the absence of any related toxic side effects. Lycopodium – Immensely beneficial for people suffering from premature baldness with significant gastric and liver problems and for women suffering from baldness in the post-childbirth stage. Calcarea Phosphorica – Useful in treating hair loss caused due to anemia with symptoms of recurrent headaches and intense pain in the stomach. It is also useful in curing alopecia in people who mostly seem healthy in appearance. Natrum Muriaticum – If the symptoms include falling of hair due to touching or combing along with the presence of menstrual disorders, dandruff and dry patches on the scalp, Natrum Muriaticum is usually recommended. Phosphorus – If hair fall is caused due to alopecia areata and dandruff along with the symptoms like a strong craving for chicken, ice cream etc. a prescribed dosage of phosphorus might be useful. These are just a few of the commonly used Homeopathic remedies and are mentioned only to create awareness about the effectiveness of Homeopathic medicines for Hair Loss. It is not advisable to resort to self-medication for any disease. ← How Can You Still Have A Gratifying Sexual Life After Having Kids?